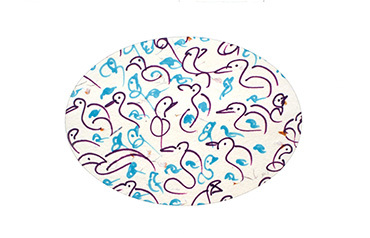 through the ancient art of meditation – is what Sri Chinmoy offering to aspiring humanity. 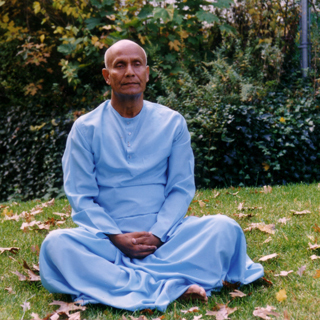 As the meditation master he established meditation Centers in more then 400 cities worldwide. Their activities share a common goal of fostering world harmony through athletic, cultural and musical initiatives that have a popular community following. The Sri Chinmoy Centre does not have a dogma or require any particular belief system of its adherents – rather it espouses a spiritual approach to life based upon a belief in the essential goodness and divinity of the human soul. To this end, the Sri Chinmoy Centre offers courses in meditation as one of its principal activities – at Sri Chinmoy’s request these courses are available to the public for free. 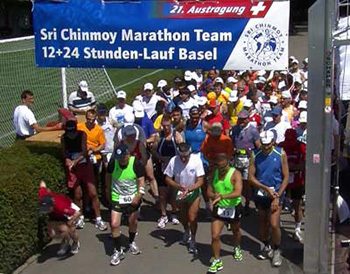 The cornerstone of man-perfection Sri Chinmoy sees in God-satisfaction – in obtaining and fulfillment of the Vision for our unique role and mission. 2. TO BE HAPPY IS OUR BIRTHRIGHT. Rather then create outer surrounding for us to feel more happier, Sri Chinmoy encourages to search within for a real happiness, that are dependless on outer things. True happiness grows from within and most effectively changes our outer life. When we are happy, we are most progressive citizens of the world. Flowers & Art from kedarvideo on Vimeo. It’s rightly said that we are receiving only what we are giving. 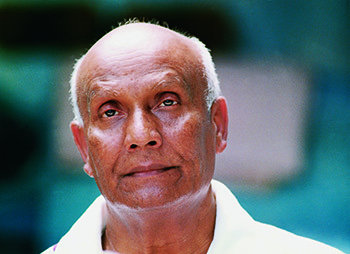 In all his activities, Sri Chinmoy stressed that we will definitely experience happiness, when we will serve the world and put our heart in everything we do or say. If we will try to see divinity inside human beings first, then it will be much easier to transcend our human likes and dislikes and to serve God in man for his full blossoming. Selfless service is absolutely necessary for the transformation of our human nature and earth’s nature. Joe Franklin from Sanjay Rawal on Vimeo. Quite often on the way to our dreams we are being discouraged and challenged by unfortunate experiences. Here is the universal answer – Never give up! Although we are experiencing strong resistance while pursuing our ideas – the harder our victory, the more precious it is to us. We do need to challenge and overcome all the limitations in ourselves – mental, emotional, physical – in order to be victorious in the battlefield of life. 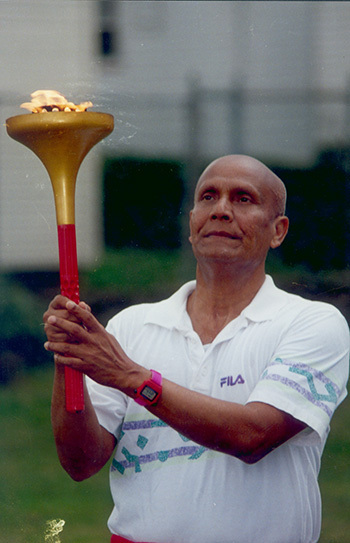 Look at personal example of Sri Chinmoy who at age of 54 started his weightlifting journey – from the inner peace to the outer power.